First, please allow the author of this blog to relate to the reader all I know about establishing an Endowment for Wyalusing State Park. 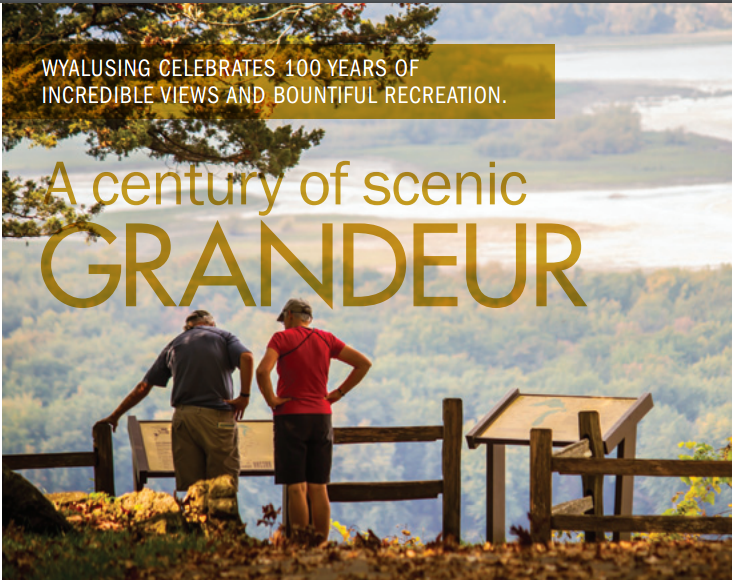 Our next Friends of Wyalusing meeting will be November 10, 2008 at 6:30P.M. There are several important items to discuss at this meeting, not the least of which is the election of Friends of Wyalusing Officers for the next year. We really hope to see you at this meeting! RSVP is on bottom of this blog. Now for the second item of discussion: establishing an endowment for Wyalusing State Park. The reader is aware of what the author knows about this topic. Right? In April or May of 2007, the Friends of Wyalusing became aware of possibly setting up an endowment for Wyalusing State Park during a regular monthly meeting. At that time, from what I have been able to gather, the members may have expressed some reluctance. The members wished to have more information in order to make an informred decision about the establishment of an endowment for Wyalusing State Park. Then, the rains came!!!! The informational meeting was put on hold. In September of 2007, Camille A Zanoni, Director of Member Relations for Natural Resources Foundation for Wisconsin, contacted Brian regarding "a possible fall presentation on the endowment to the Friends of Wyalusing". In May or April of 2008, the idea of an endowment was reintroduced to the members present at a Friends of Wyalusing State Park meeting. The group must have expressed a need for further information about an endowment. Then, in June of 2008, an email was sent to Camile A. Zanoni by Brian, setting up a meeting between Camile and the Friends of Wyalusing on November 10, 2008. As I wrote previously, this is my understanding of the sequence of events which lead up to the November 10, 2008, meeting at 6:30P.M. I would appreciate any comments from members. Please use the comment box found below the blog. 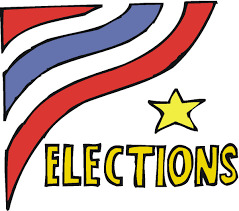 We need you to vote for the President, Vice President, Treasurer, and Secretary for the Firends of Wyalusing. 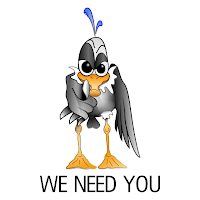 We need you to become informed about an endowment for Wylausing State Park. We need to meet all of the members. The web site for the Wisconsin Natural Resources Foundation is (here). Use the form below to RSVP. If the form doesn't work in your browser, see the link below. Use this link if you do NOT see an RSVP form. Please Press here if the above form does not work in your browser. We had a successful weekend combining the walk at Wyalusing with ones in Prairie du Chien and across the river at Pikes Peak State Park. Volksmarchers from the upper Midwest descended on the trails of Wyalusing State Park on Saturday and Sunday, October 18 and 19 for a delightful fall weekend of walking and socializing. Ninety walkers from Colorado, Kansas, Nebraska, Iowa, Illinois, Minnesota and Wisconsin participated in 5 kilometer and 10 kilometer walks at Wyalusing as part of a group of walks held in the area over the weekend. The crisp fall weather, beautiful panoramas, and bright autumn colors were enjoyed by all. Volkssporting and volksmarching began in Germany during the 1960’s and is called “the sport of the people” as nearly everyone can enjoy it. You walk at your own pace and have several hours to complete each walk, allowing you the choice of browsing along the way or keeping up a brisk pace. Volksmarching is a family-oriented, non-competitive activity. With registration for the event, the participant accepts the guidelines for American Volkssport Association (AVA) events and agrees to observe the principles of good sportsmanship. Each participant must also obey any state or local laws or ordinances. Volkssporting is good exercise and encourages physical activity by providing events throughout the country, and world, in which people of all ages and all levels of physical fitness can participate. For more information on volkssporting, visit the AVA website at www.ava.org or our website at: www.dairylandwalkers.com. This year, visitors to Wisconsin State Parks and Trails were asked to vote for their favorite park or trail in 10 categories. The votes were tabulated and the 2008 Gold Seal and Hero Awards have been announced. The awards will be presented at the Friends of Wisconsin State Parks (FWSP) annual meeting and banquet ceremony on Friday, Nov. 7, 2008, at the House on the Rock Resort in Spring Green. Among the ten awards Wyalusing State Park was selected for having the Best Birding Trail. The Gold Seal results were acquired throughout the 2008 summer season using an online survey that was available on the Friends of Wisconsin State Parks Web site at [www.fwsp.org]. Week four brings many improvements to Sugar Maple Nature Trail. (Click image on left to enlarge.) The new section of trail from Long Valley Road to the existing trail is ready to walk. The new section joins Long Valley Road (near the Railroad tracks) with the uphill portion of Sugar Maple Nature Trail going to Homestead Picnic area. New trail markers, along the road, from the intersection of Sentinel Ridge Trail and Long Valley Road point the walker to the new section of Sugar Maple Nature Trail. There are new informational signs at Long Valley Road. New signs mark the new entrance to Sugar Maple Nature Trail. 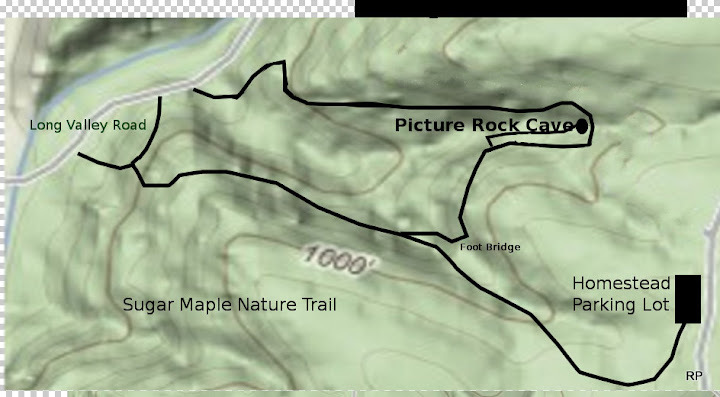 Unofficially, it looks like the hiker can walk along Sentinel Ridge Trail, then to Sugar Maple Nature Trail and up to Homestead Picnic area and vice versa. Week four(4) has the DNR Trail crew working on the existing trail along Long Valley Road to the ravine which leads to Picture Rock Cave. The red line shows the approximate section of the trail being worked on. See the link on the right for new photos of trail re-construction. (link) There are also two unedited, short videos showing trail reconstruction for week four. The crew is also busy preparing a new section of trail close to Homestead Picnic area. Preliminary work of clearing brush along trail markers is being done. The crew hopes to work through November. Let's all hope for good weather.